This Tour is designed for those who want to learn all about the City on their Day of Arrival into the City. This way you will know where all the sites and Neighborhoods are located so you will enjoy the city more fully during your visit here. Pick-Up can be at your New York area Airport; Train Station; or at your Hotel. It’s all up to you. We suggest you travel from the arriving New York Area Airport to your Hotel to unload your luggage and then your Tour will begin from your Hotel. This way, you’re not paying us for Travel time to and from the Airport. We can arrange Pick-Up for you at your New York City area Airport, or we are glad to do it. Drop-Off will be at your Hotel following your Tour. 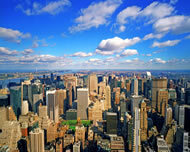 If you’re in New York City Area on a ‘Lay-Over’ we are glad to provide you with a Private Tour of the City. Depending on the length of your ‘Lay-Over’, Pick-Up is at the Airport, Tour you throughout the City, and then Drop-Off at the Airport. Or, you may consider traveling into the City via Taxi, and your Tour will begin at a pre-determined designated address. Returning you to the Airport can either by us, or via a Taxi. It’s up to you and the length of your ‘Lay-Over’. Please see ‘LOWER MANHATTAN’ and ‘UPPER MANHATTAN’ TOUR, or select from the list of Tours we offer to see which Tour appeals to you most. If you have a list of Sites, Stores, and Neighborhoods you wish to visit, we are here to accommodate your wishes. Throughout your Tour we will point out on the Map specifically where we are located in respect to the Airport and or Hotel, so you fully understand where Neighborhoods and places of interest are located. During your Tour, we’ll point out the contrast in Architecture from Neighborhood to Neighborhood, which makes New York City so unique and interesting, as no two Neighborhoods are exactly alike. We’ll also recommend local restaurants within each Neighborhood where you may consider dining while you’re visiting the City. We’re glad to make reservations for you, as well. Please allow us the privilege of Touring you and your group throughout the great City of New York on the Day of your Arrival, and during your ‘Lay-Over’!